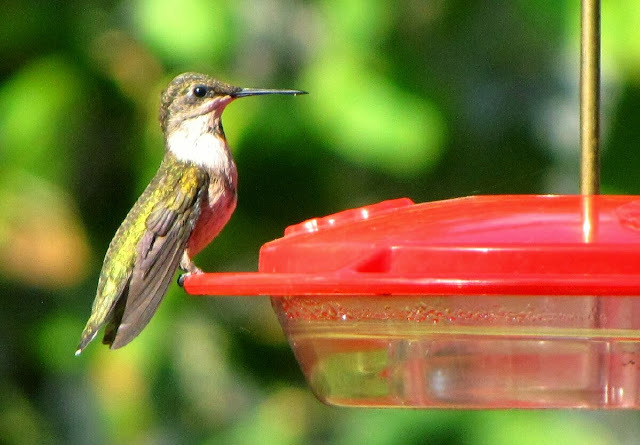 A Ruby Throated Hummingbird for Ruby Tuesday. Perfect except that this is a female and only the male has the bright red throat. The females are more modest perhaps. She is a beautiful little bird in any case.